You know how sometimes life works in a way where you know that you are doing the right thing? After Mike and I got married we made a decision to make some big life changes and buy the house that he grew up in from his Mom. As we have settled in we decided for many reasons that after having our son I would quit my Corporate job and be a stay at home Mom. I have enjoyed every minute but we also had a “sign” to fulfill a dream of mine and to build the bakery now and start my business. One of the biggest reasons is that my sister-in-law and mother-in-law have opened the Hummingbird House in Fredon. It is wonderful! 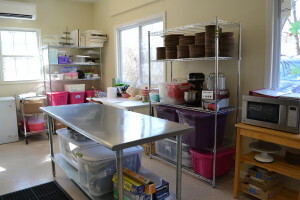 Please check it out and it is also a place where you can grab some of my baked goods and desserts to go. 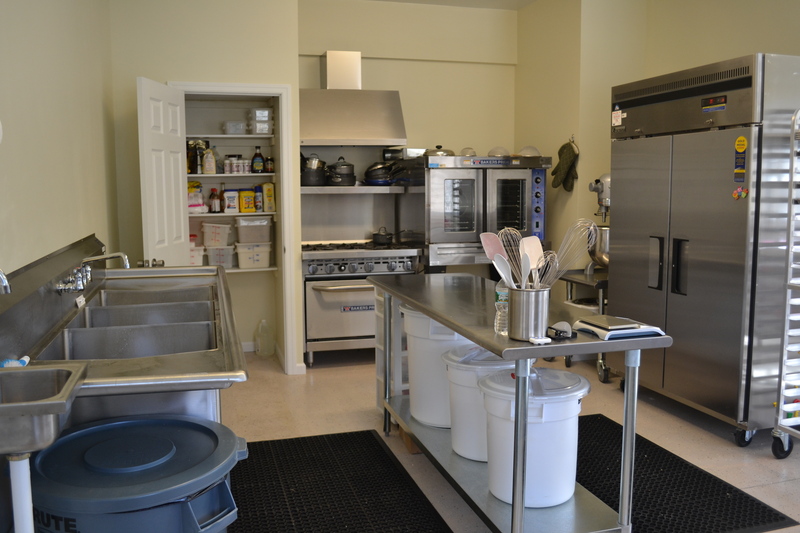 When you first walk in through the double doors you see this set up to the left. 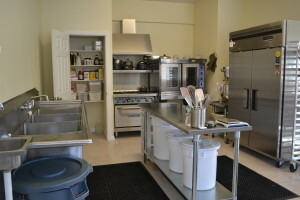 I have my sink, dry goods closet, stove/oven, convection oven, 20quart mixer, and then refrigerator. We designed this space to be where I do my baking. This is a close-up of the table that you see in the picture above. 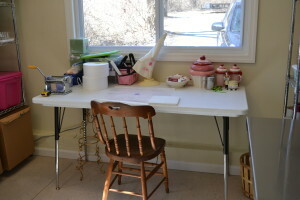 This table will be used for completing detailed fondant and gumpaste work. Like gumpaste flowers for example. 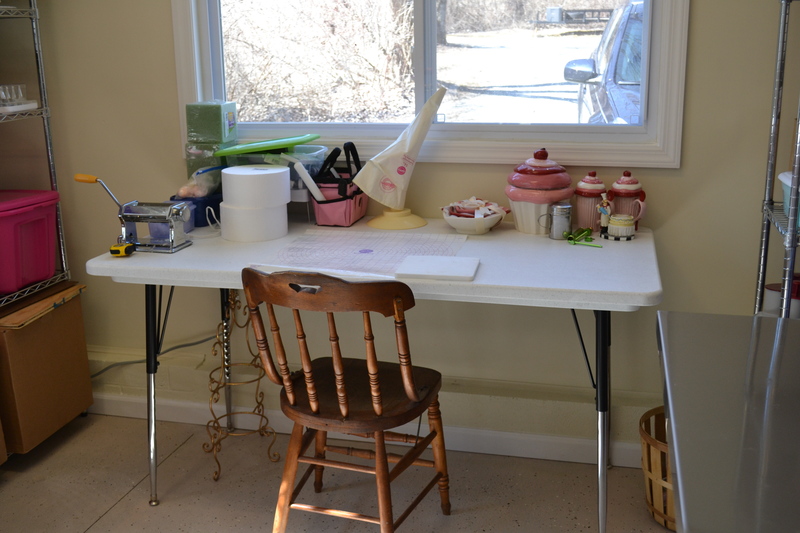 I love that I have natural light for this table and also that I get to look out the window while I work. 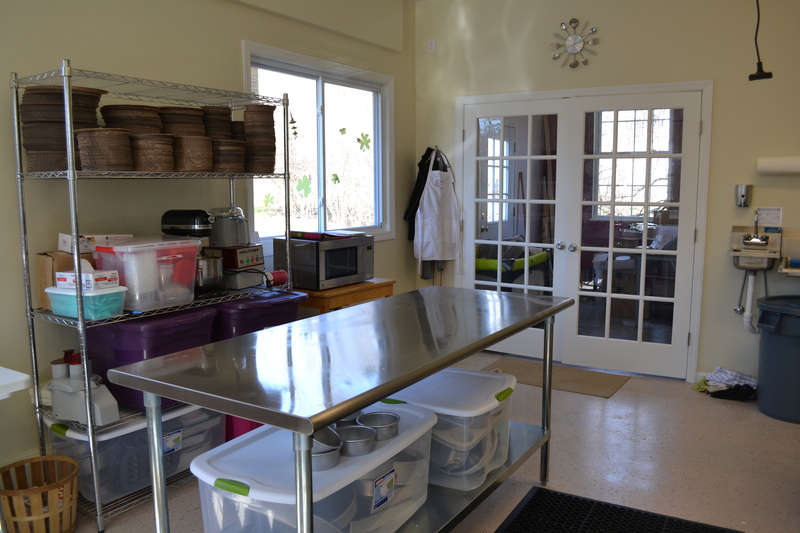 This shows from the back of the bakery forward to see where you can exit and go into my office. You can also see my Divinely Dolce apron from my best friend Allison! Such a thoughtful gift. I want to thank everyone again for their support in helping my dream come true! I hope that you have enjoyed checking out the bakery so far. There are a few more things that I want to add to decorate. So more pictures to come. Also, we are still working on finalizing my office so I can share those pictures later as well. Thank YOU for your interest and I hope you have enjoyed checking out the inside of the bakery.